Snow, Carpio & Weekley - AZ Workers' Compensation and SSD Attorneys: Arizona Workers Compensation Claims - Do I Need An Attorney? Arizona Workers Compensation Claims - Do I Need An Attorney? I heard a joke once that “the problem with lawyers is that it’s the few rotten million that ruin it for the other eleven.” Even I had to laugh at it. Consumers are bombarded every day with ads from law firms represented by wild animals, cartoon dogs, and slick haired lawyers promising “aggressive representation.” Everyone likes to laugh at lawyers – that is, until they need one! This raises one of the most frequently asked questions I get when I speak to those injured on the job: do I really need a lawyer in an Arizona workers’ compensation claim? To begin with, most injured workers have the mistaken assumption that their company’s workers’ compensation insurance carrier is there to protect them in the event of an on-the-job injury. That is usually a big mistake. The insurance carrier is a private business whose main objective is to make money. And they do that by minimizing the amounts paid out in medical care and compensation to the injured worker. I usually answer the question of whether or not someone needs an attorney in a workers’ compensation claim with, “probably not, but you’d better see one to make sure.” Let me explain. If your injuries are minor, the insurance carrier will most likely pay the claim immediately and let you get back to work. However, if you have an injury that is going to either (1) require surgery, (2) make you miss more than 2 weeks from work, (3) cause any kind of permanent injury, or (4) permanently keep you from performing all the duties of your regular job, I highly recommend that you consult with a workers’ compensation attorney immediately after your injury. The attorney can make sure that your claim has been filed properly, that you receive the correct amount of compensation for time lost from work, and that you see a doctor who is independent of the insurance carrier and will give you the best possible treatment. Most workers’ compensation attorneys provide a free initial consultation and are happy to give out this information even if you don’t retain them. Even if you do retain the attorney, most charge either no fee or a minimal percentage of the “temporary compensation” that you receive while you are not working and then a contingent percentage of any “settlement” paid at the end of your claim. Snow, Carpio, and Weekley meets with about 150 new injured workers each month. Most are simply given free advice about how to best protect their rights and red flags to look out for in their claims. If you are injured on the job, you are always better off informing yourself of all of your rights from the very beginning. Too often injured workers come to us with their problems after it is already too late to do anything about them, usually resulting in a loss of medical care or compensation. Finally, make sure you talk to an attorney who practices exclusively workers compensation law – it is very complicated and very different from other areas of the law. 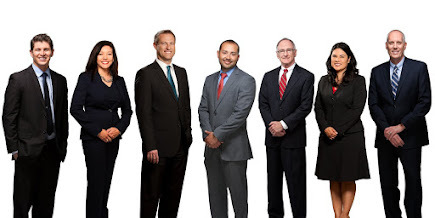 Chad Snow and X. Alex Carpio are attorneys with offices in Phoenix and Tucson. They have represented thousands of injured workers before the Industrial Commission of Arizona.